The Gallery celebrates its 19th birthday at the Ministry of Sound on Friday 25 April. The party, which has helped launch the careers of many big name DJs, has also been one of the responsible factors for putting trance, progressive and electronic dance music on the musical map in London, providing the music that has defined a generation of clubbers. For the occasion, the celebrations will see headliners W&W joined by John O’Callaghan, backed up by Omnia and Lee Osborne in The Box. 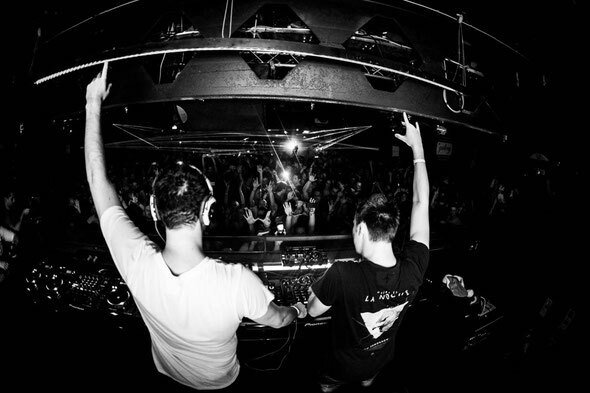 Dutch Duo, W&W, return after headlining The Gallery’s 2013 finale last December. A capacity crowd fuelled what was arguably the best Gallery show of recent times leading to Wilem And Wardt requesting to play the birthday. W&W have recorded with Armin van Buuren, Hardwell and Ummet Ozcan as well as remixing Armin’s ‘This Is What it Feels Like’, Zedd ‘Foxes’ and Krewella ‘Live For The Night’. Omnia returns for a third show at the club and will be presenting his productions from the new ‘A State Of Trance 65 - New Horizons’ CD, having personally been chosen by Armin to contribute. Omnia will be joined by Gallery resident Lee Osborne and John O’Callaghan, the Irish DJ producer who will be bringing the tracks popularised on his Subculture label to the proceedings and more than enough birthday classics. The line up will be topped off with D.Ramirez plus Gallery residents, Gavyn Mitchel, Graeme Lloyd, Steve Lee and Keypop in 103.